A number of planning applications are underway across the city. These applications may include rezonings, new plans, plan amendments, and road closures. Planning applications received by the City after April 1, 2017, are posted online. Approved rezoning at the northeast corner of 100 Avenue NW and 104 Street NW to allow for two high-rise mixed use towers. Proposed rezoning at the northeast corner of Jasper Avenue NW and 115 Street NW to allow for two high-rise mixed-use towers. The City is divided into 12 wards. Use this map to find your ward. Current planning applications in the Boyle Street neighbourhood. Current planning applications in the Central McDougall neighbourhood. Current planning applications in the Downtown neighbourhood. Current planning applications in the Grovenor neighbourhood. Current planning applications in the McCauley neighbourhood. Current planning applications in the Oliver neighbourhood. Current planning applications in the Queen Mary Park neighbourhood. Current planning applications in the Rossdale neighbourhood. Current planning applications in the Westmount neighbourhood. Current planning applications in the Beaumaris neighbourhood. Current planning applications in the Crystallina Nera East neighbourhood. Current planning applications in the Crystallina Nera West neighbourhood. Current planning applications in the Eaux Claires neighbourhood. Current planning applications in the Kilkenny neighbourhood. Current planning applications in the Schonsee neighbourhood. Current planning applications in the Belvedere neighbourhood. Current planning applications in the Clareview Town Centre neighbourhood. Current planning applications in the Clover Bar neighbourhood. Current planning applications in the Cy Becker neighbourhood. Current planning applications in the Ebbers neighbourhood. Current planning applications in the Fraser neighbourhood. Current planning applications in the Gorman neighbourhood. Current planning applications in the Homesteader neighbourhood. Current planning applications in the Kennedale Industrial neighbourhood. Current planning applications in the Kirkness neighbourhood. Current planning applications in the McConachie neighbourhood. Current planning applications in the Rural Northeast Horse Hill / Marquis neighbourhood. Current planning applications in the Abbottsfield neighbourhood. Current planning applications in the Alberta Avenue neighbourhood. Current planning applications in the Bellevue neighbourhood. Current planning applications in the Beverly Heights neighbourhood. Current planning applications in the Cromdale neighbourhood. Current planning applications in the Eastwood neighbourhood. Current planning applications in the Highlands neighbourhood. Current planning applications in the Killarney neighbourhood. Current planning applications in the Belmead neighbourhood. Current planning applications in the Britannia-Youngstown neighbourhood. Current planning applications in the Crestwood neighbourhood. Current planning applications in the Glenwood neighbourhood. Current planning applications in the Hawks Ridge neighbourhood. Current planning applications in the High Park neighbourhood. Current planning applications in the Jasper Park neighbourhood. Planning applications received by the City in the Lewis Farms neighbourhood. Current planning applications in the Morin Industrial neighbourhood. Current planning applications in the Pintail Landing neighbourhood. Current planning applications in the Place LaRue neighbourhood. Current planning applications in the Potter Greens neighbourhood. Current planning applications in the Rosenthal neighbourhood. Current planning applications in the Secord neighbourhood. Current planning applications in the Sherwood neighbourhood. Current planning applications in the Stewart Greens neighbourhood. Current planning applications in the Summerlea neighbourhood. Current planning applications in the Terra Losa neighbourhood. Current planning applications in the Trumpeter neighbourhood. Current planning application in the West Jasper Place neighbourhood. Current planning applications in the Albany neighbourhood. Current planning applications in the Baranow neighbourhood. Current planning applications in the Calder neighbourhood. Current planning applications in the Carlton neighbourhood. 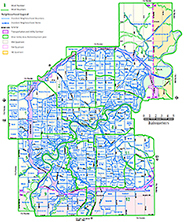 Current planning applications in the Griesbach neighbourhood. Current planning applications in the Inglewood neighbourhood. Current planning applications in the McArthur Industrial neighbourhood. Current planning applications in the Mistatim Industrial neighbourhood. Current planning applications in the Prince Charles neighbourhood. Current planning applications in the Prince Rupert neighbourhood. Current planning applications in the Rampart Industrial neighbourhood. Current planning applications in the Rosslyn neighbourhood. Current planning applications in the Spruce Avenue neighbourhood. Current planning applications in the Westwood neighbourhood. Current planning applications in the Woodcroft neighbourhood. Current planning applications in the Belgravia neighbourhood. Current planning applications in the Garneau neighbourhood. Current planning applications in the Holyrood neighbourhood. Current planning applications in the Kenilworth neighbourhood. Current planning applications in the McKernan neighbourhood. Current planning applications in the Queen Alexandra neighbourhood. Current planning applications in the Strathcona neighbourhood. Current planning applications in the Strathearn neighbourhood. Current planning applications in the Windsor Park neighbourhood. Current planning applications in the Jackson Heights neighbourhood. Current planning applications in the Kameyosek neighbourhood. Current planning applications in the King Edward Park neighbourhood. Current planning applications in the Meyonohk neighbourhood. Current planning applications in the Mill Woods Town Centre neighbourhood. Current planning applications in the Ritchie neighbourhood. Proposed closure south of 76 Avenue, east of 34 Street, and south of pipeline corridor at 7535 34 Street NW. Current planning applications in the Strathcona Industrial Park neighbourhood. Current planning applications in the Tweddle Place neighbourhood. Current planning applications in the Bisset neighbourhood. Current planning applications in the Charlesworth neighbourhood. Current planning applications in the Decoteau neighbourhood. Current planning applications in the Ellerslie neighbourhood. Current planning applications in the Ellerslie Industrial neighbourhood. Current planning applications in the Larkspur neighbourhood. Current planning applications in the Maple neighbourhood. Neighbourhood Structure Plan establishing development framework for 386 hectares of land. Current planning applications in the Silver Berry neighbourhood. Current planning applications in the Tamarack neighbourhood. Current planning applications in The Orchards at Ellerslie neighbourhood. Current planning applications in the Walker neighbourhood. Current planning applications in the Cameron Heights neighbourhood. Current planning applications in the Edgemont neighbourhood. Current planning applications in the Granville neighbourhood. Current planning applications in the Lynnwood neighbourhood. Current planning applications in the Oleskiw neighbourhood. Current planning applications in the Stillwater neighbourhood. Current planning applications in The Uplands neighbourhood. Current planning applications in the Thorncliff neighbourhood. Current planning applications in the Cavanagh neighbourhood. Current planning applications in the Chappelle neighbourhood. Current planning applications in the Desrochers neighbourhood. Current planning applications in the Falconer Heights neighbourhood. Current planning applications in the Glenridding Ravine neighbourhood. Current planning applications in the Heritage Valley Town Centre neighbourhood. Current planning applications in the Keswick neighbourhood. Current planning applications in the MacEwan neighbourhood. Current planning applications in the Magrath Heights neighbourhood. Current planning applications in the Paisley neighbourhood. Current planning applications in the Rutherford neighbourhood. Current planning applications in the Windermere neighbourhood. Current planning applications in the Allard neighbourhood. Current planning applications in the Bearspaw neighbourhood. Proposed rezoning at 4607 Calgary Trail NW and 4710 Gateway Boulevard NW. Current planning applications in the Ermineskin neighbourhood. Current planning applications in the Greenfield neighbourhood. Current planning applications in the Parkallen neighbourhood. Current planning applications in the Westbrook Estates neighbourhood. Information included on postcards sent out to registered property owners.